And, the Award goes to… ME! John W Howell, God bless him, bestowed two awards on me yesterday. John runs Fiction Favorites, a blog for exchanging information and ideas about fiction favorites. It’d be well worth your time to go over and wander around his blog and pick up some of the many gems of information there! The fifteen bloggers I’m awarding represent the cream of the crop in the blogosphere. Some have received multiple awards in the past; others have received perhaps, fewer. All, though, are worth the time you’ll spend reading their posts for information, entertainment and a few laughs along the way. 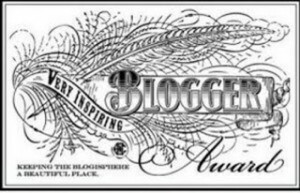 And here now, without further ado, are my nominations for The Versatile Blogger Award and the Very Inspiring Blogger Award! Seven interesting things about myself. I find myself decidedly ordinary and coming up with seven “interesting” factoids won’t be easy. Let’s see what Zeek thinks and whether he can come up with the requisite number of truly interesting facts. And, the boy came through for me. Here are seven interesting things about me from a different perspective. I’m pasting them in raw, with no editorial “tampering”. 1 wakes up very early in the morning, don’t talk to him for at least 2 hours, offer him coffee he will smile! 2 lovley, exciting to be around fun , sometimes advenetrous some others not at all! 4 imaginative, funny , if you poke him he will jump! 6 give him a book and he wont speak for a week ! 7 scary person when he loses his glasses, he sees weird things. and he loses them lots, sometimes they are on his head, or hanging on his chest. Thank you again, John for these two very lovely awards! I shall treasure them and I sure hope that you, Gentle Readers, will find this post entertaining. Visit these versatile and inspiring bloggers, too. Share them with your friends and fellow bloggers! 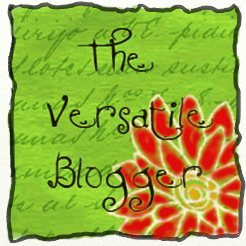 This entry was posted in Awards and tagged 7 Things, author, Blog, Versatile Blogger Award, Very Inspiring Blogger, writing. Bookmark the permalink. 8 Responses to And, the Award goes to… ME! This is a big surprise. Thank you! Well, he certainly laid me bare, didn’t he? Thanks Jim! I really appreciate it. I’ll post ASAP! Thanks for the mentions in your beautiful blog, Lada, and happy birthday!